Hello and Happy Sunday to you from Middle Tennessee! I am Tina Riddle and am one of the new Design Team members on the CYCI Design Team. 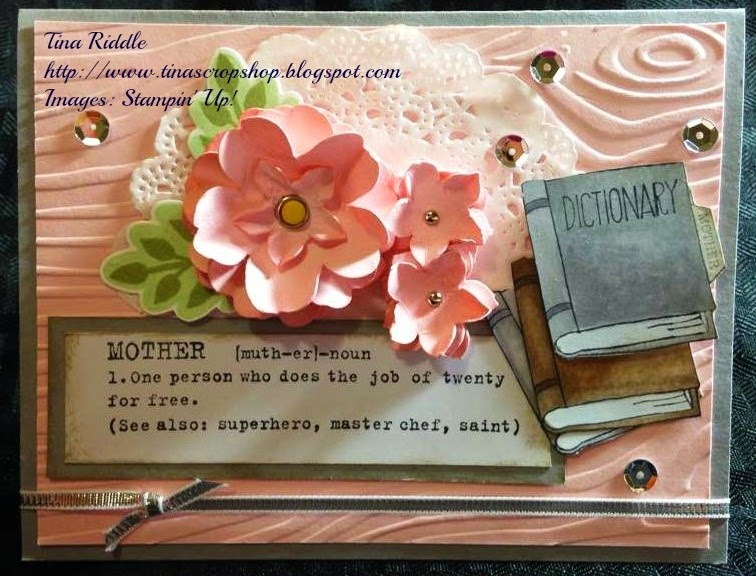 In addition to being a Card Maker, I work full time as an Import Manager at a Retail Chain, and am a wife, a Mom, and a Grandmom to 5 beautiful granddaughters. I would like to thank both Justin Krieger and Eva Bussom for allowing me this opportunity, and I certainly hope I don't let you down! 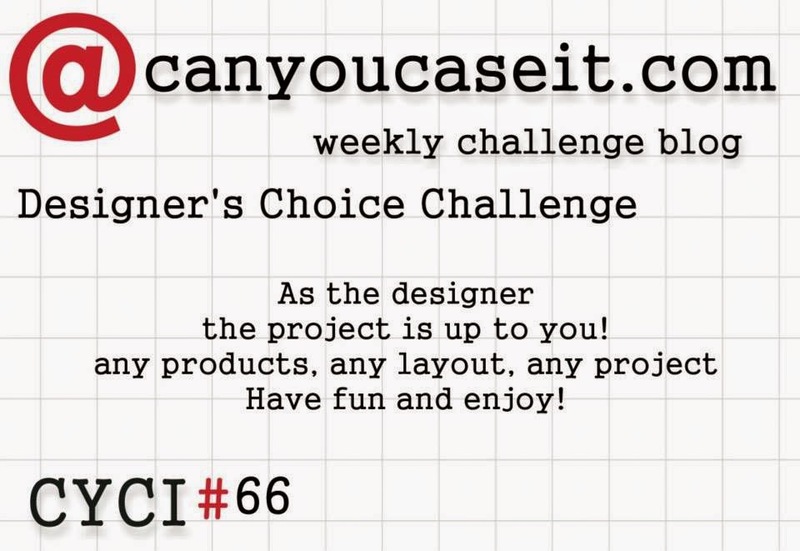 I was excited to see that this week's theme is Designer's Choice! Since I am a huge Coffee fan, the choice was a pretty easy one for me! 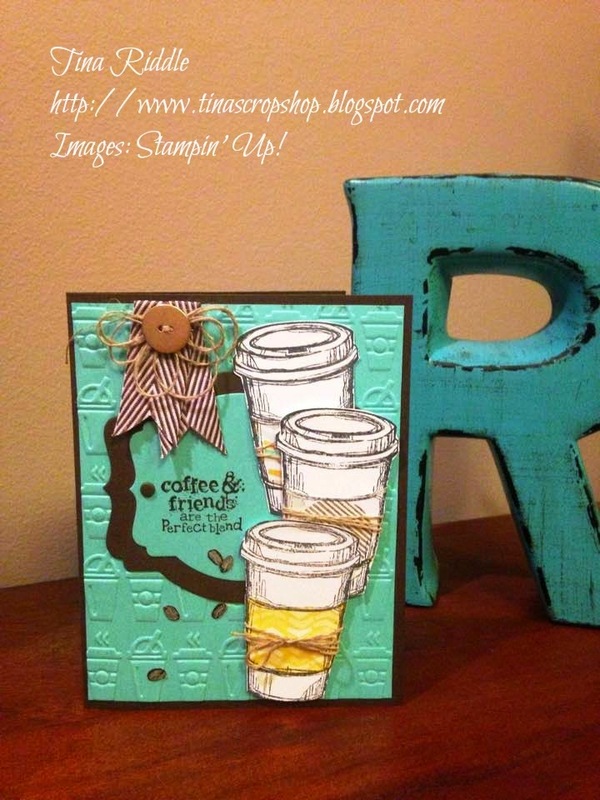 Today's card is all about Coffee and features the Stampin' Up! Perfect Blend Stamp Set as well as 2 retired stamp sets from Our Craft Lounge and Skipping Stones. For my card, I started with a card base of Early Espresso (could it be anything else?? lol). I then dry embossed a layer of Coastal Cabana cardstock in a Tim Holtz Texture Fades "On the 'Go" Embossing Folder. I cut 2 layers of Deco Label Framelits, the larger in Early Espresso and smaller in Coastal Cabana. I stamped the Coffee & friends sentiment from the Perfect Blend set onto the bottom left of the label in Early Espresso Ink. I then stamped the To-Go cup from Perfect Blend Set 3 times on Whisper white paper and 3 times on Coordinating DSP. I fussy cut the label portion from the DSP and glued onto the white cups and then fussy cut around the white cups. Linen thread was tied around the 3 cups and they were layered on the right side of the card. The upper bottom cup was glued directly onto the card and the others were popped up with dimensionals. I cut and folded a piece of Chocolate Chip Chevron Ribbon and then stapled it to hold it's shape and adhered to the top of the card with glue dots. I ran linen thread through a Gold Basic Button and looped it several times at the back of the button and secured with glue dots and adhered to the ribbon. I then stamped a row of coffee beans from one of my vintage stamp sets onto Baked Brown Super Cardstock in Early Espresso Ink and fussy cut five of the coffee beans out and glued them down randomly. For the inside of my card I layered in Whisper White Cardstock that had been stamped 3 times with a Coffee ring stamp in Sahara Sand. 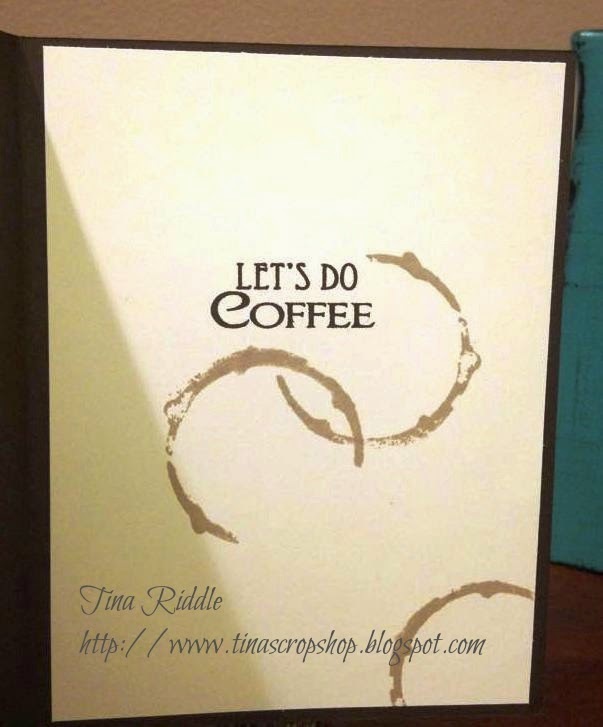 I then stamped the inside sentiment "Let's Do Coffee" in Early Espresso. I was really happy with how it turned out and I hope you like it too! After seeing today's CYCI challenge, I thought a card that I had designed for yesterday's card class would fit the bill quite nicely. I had 3 cards designed for yesterday's class and this is one that I wasn't completely sure about. I really liked it but I wasn't sure that the style of it would suit the ladies in my class. Man was I ever wrong! It was the card that drew their attention as soon as they walked in the door since it was different that anything they had made before. Ok, so time for a little honesty here. I'm actually not really a fan of Orange. I had a few pieces of Tangelo Twist Cardstock from the 2014-2016 In Color Assortments that I really needed to use so this seemed like a good opportunity to do so. Honestly after making this card, I really think the orange worked on this one. 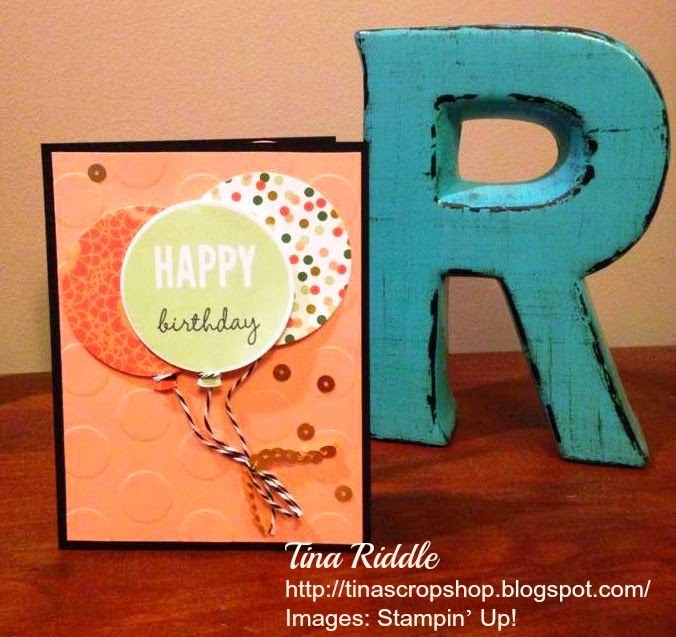 I started with a card base of Tangelo Twist Cardstock. I cut a 5 1/4" x 4" piece of Whisper White Cardstock and stamped one of the splatter stamps from Gorgeous Grunge in Midnight Muse, Tangelo Twist, and Island Indigo. I then stamped butterflies from Papillion Potpourri with Tuxedo Black Memento Ink onto a scrap piece of Whisper White cardstock. 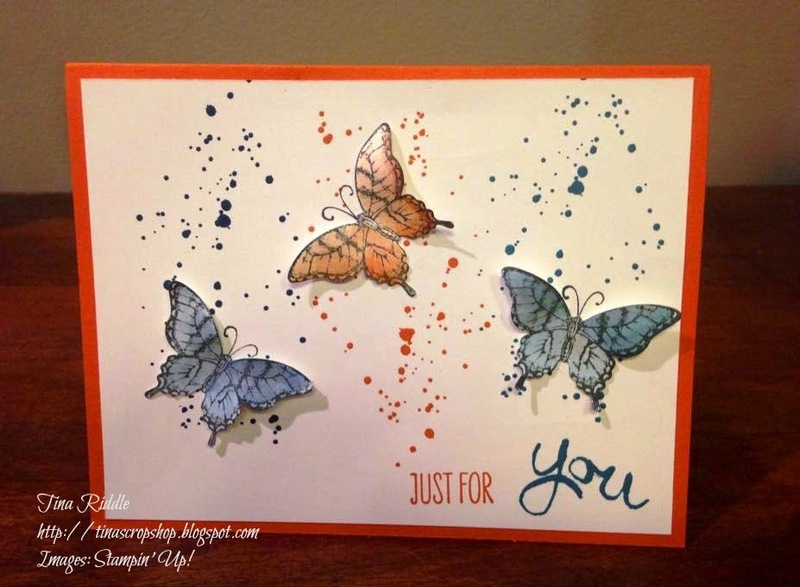 Using my aqua brush I then painted in a butterfly in each of the 3 ink colors I had used for the splatters. Using the Elegant Butterfly Punch I then punched them out. I used a bonefolder to cuve the buttefly wings a bit. I stamped one of butterfly antennas into each of the three sections randomly. I ran a little bit of Tombow glue just down from the antennas so that only the body of the butterfly was adhered to the card. The sentiment was from the Work of Art stamp set. The inside was left blank with a little of the Island Indigo Ink splatter stamped in the upper right corner. 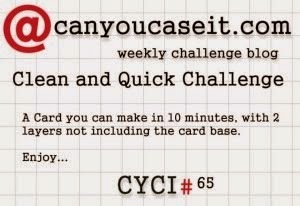 It is one of the quickest cards I've ever made. 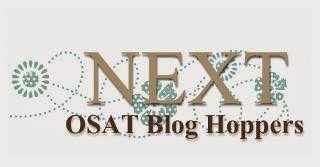 Hello and welcome to One Stamp At a Time's April Blog Hop. 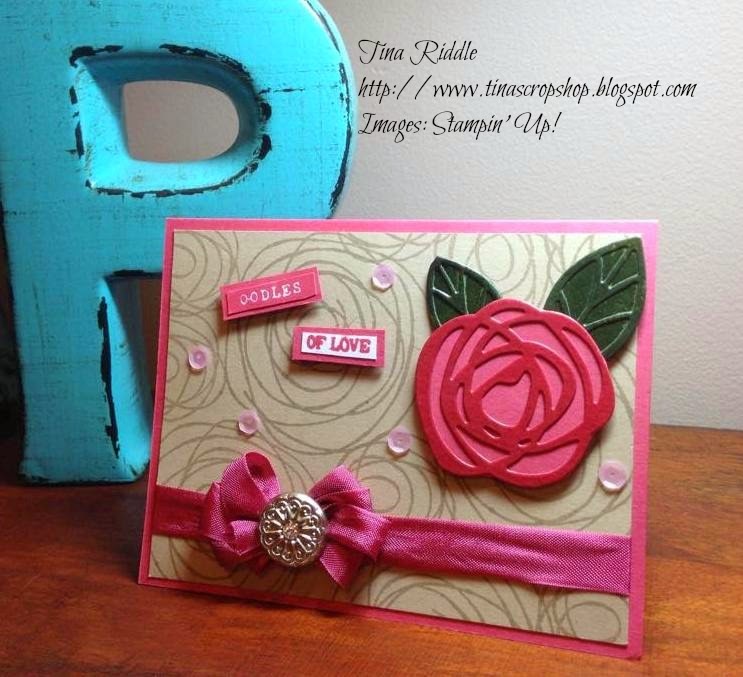 I hope you are enjoying all of the beautiful cards and projects shared with you today! 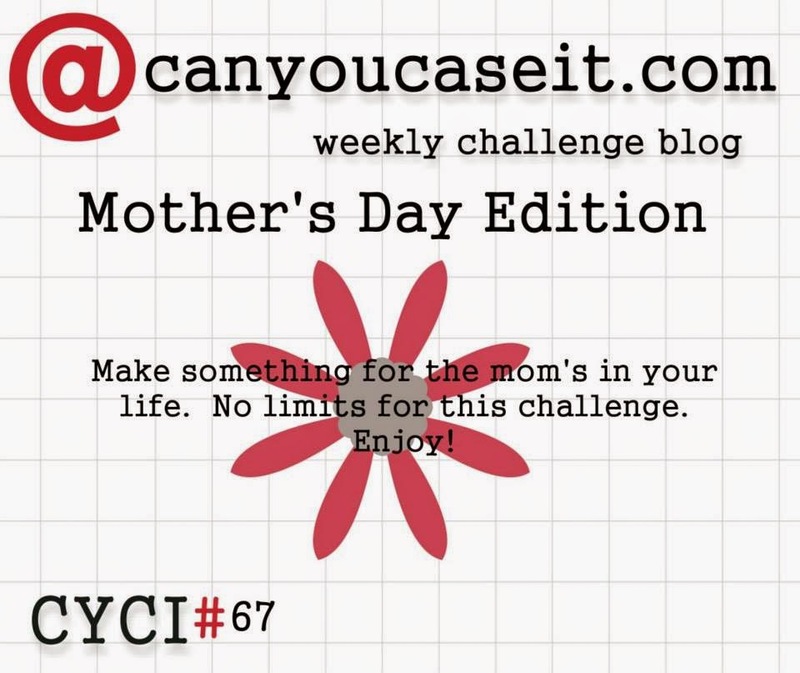 If you are Hopping along you should have landed here from the very talented Eva Bussom's blog and by now you should know that this Blog Hop is all about Mother's Day! Sweet Laughter is a 7 piece stamp set and comes with the dictionary and description of mother attached for one large stamp but I knew that I may not always want to use one with the other so I cut the dictionary off of the description to make them separate stamps. My next project is a treat bag that I made using the mini treatbag thinlits. I plan on giving the Mom's in my office a little Mother's Day treat so it was time to pull out the thinlits and play around a little. They were very easy to put together and can be decorated in so many ways. This is a purchase that I believe I will use over and over again. 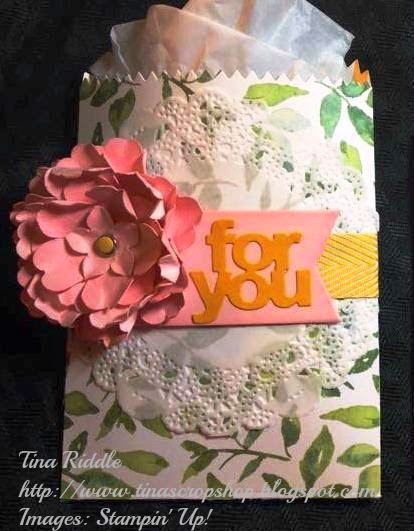 I used my new favorite designer series paper Painted Blooms to cut out the thinlit and decorated with a doily, a piece of 3/4" Chevron Ribbon in Crushed Curry, and a flower similar to the one I made for my card but I added a few extra layers with the Blossom Punch. The mini treatbag thinlet dies have lots of cool dies with it. The banner that I used on the front of the treat bag was made with one of the dies as was the little "for you" cutout. 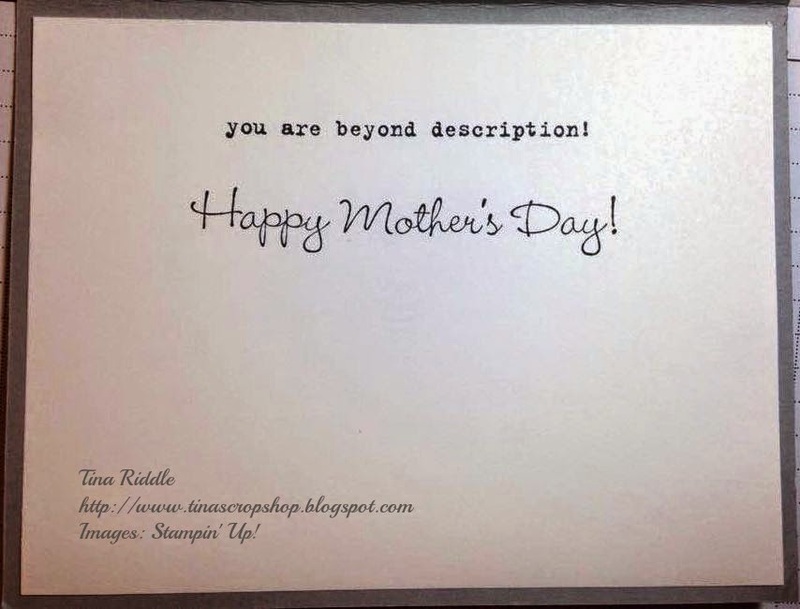 Tina - http://tinascropshop.blogspot.com/2015/04/osat-blog-hop-mothers-day.html - You are here! Happy Monday! After a beautiful Easter Sunday yesterday, today is back to work for me. 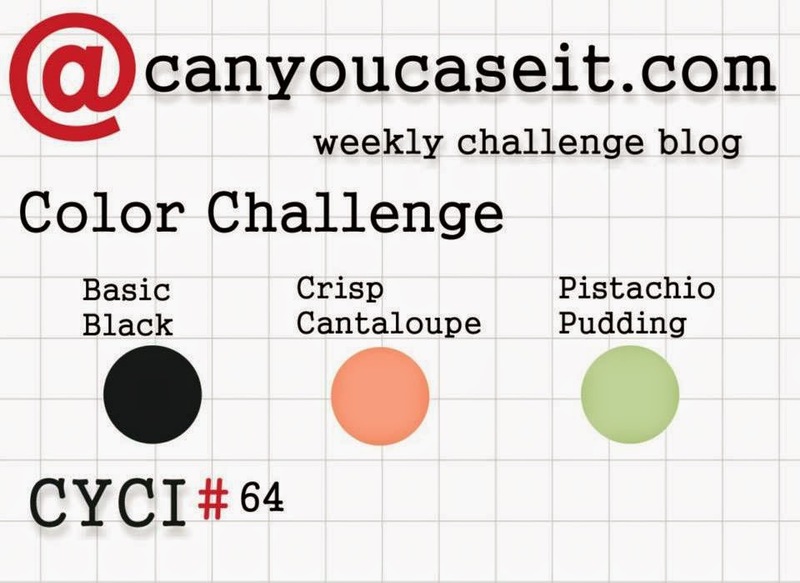 This morning, I'm sharing a card that I made to play along with the Can You Case It color challenge! I started with a Basic Black Card Base and added a layer of Crisp Cantaloupe that I had embossed with the Large Polka Dot embossing folder. I cut two baloons from a piece of Gold Soiree specialty paper. I used both sides of one sheet as both of the colors really looked pretty together. I stamped the last balloon with pistachio pudding ink onto whisper white card stock and then stamped birthday with Memento black ink under the Happy. I used a little black and white twine from my stash as I felt like it needed a little more black. I blinged it up with some gold sequin trim tied into the twine and cut a few of the gold sequins off of the trim and glued to the card. I love it and I hope you do too! I hope you have a wonderful & blessed day! My Bokeh template was made by cutting the three smallest circles in the Circles Collection Framelits in a Window Sheet. I used the dry sponging technique using Stamping Sponges. I started sponging Wisteria Wonder, Pink Pirouette, and Strawberry Slush in a random pattern on Whisper White Cardstock that was cut 5 1/4" x 4". Then using my template, I sponged Whisper White Craft Ink into the circles overlapping some of them and sponging bolder in the smaller circles. I also used a sponge dauber to sponge in some random circles in an even heavier coat of the craft ink. I think it turned out beautifully! The Happy Easter Bunny image was stamped with Memento Tuxedo Black Ink onto Whisper White card stock and colored with copics. I then cut it out with an oval framelit. I could have gone one size larger but was trying to show as much of the Bokeh background as possible. I ran a piece of lavender sheer ribbon from my stash around the Bokeh and tied it so that the bow was to the right side. 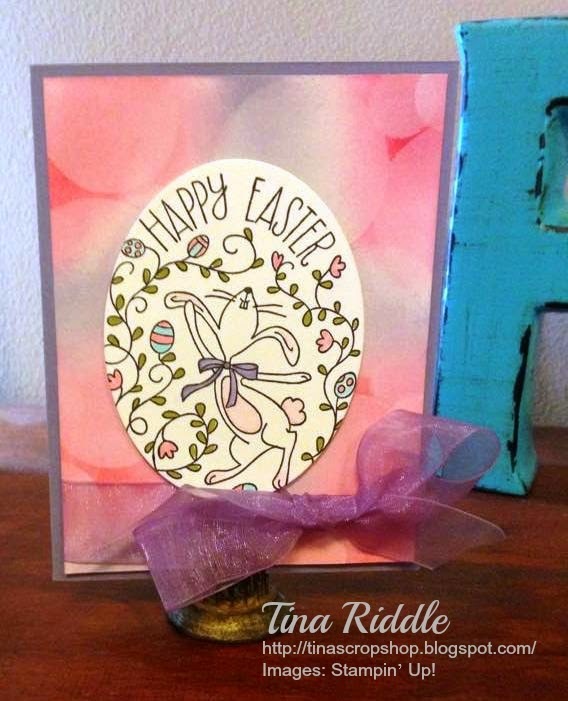 I popped the Happy Easter Bunny Oval up with Stampin' Dimensionals onto the Bokeh background and then mounted that onto a Wisteria Wonder card base. Hope you've enjoyed my card.